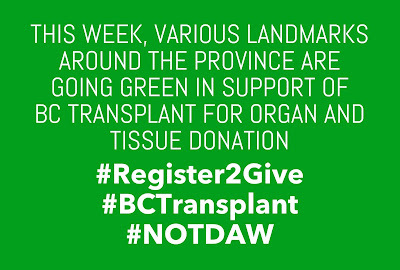 Did you know there are over 600 people in British Columbia who are waiting for a transplant? 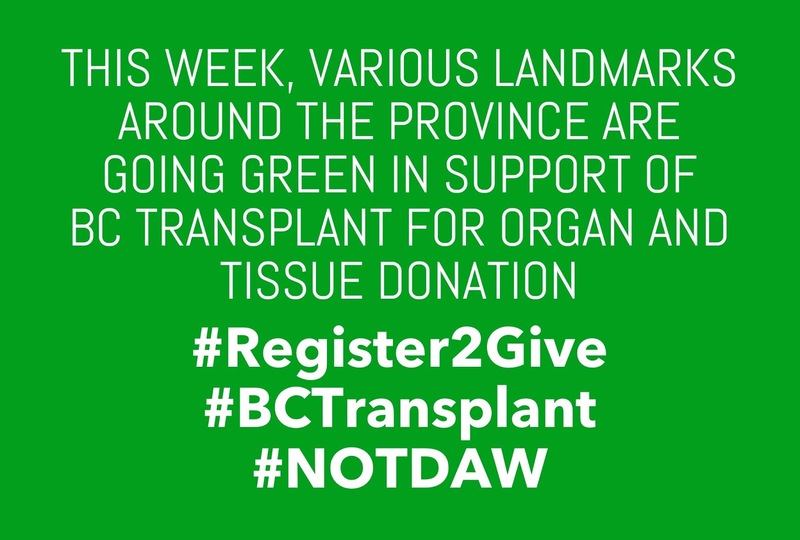 Have an open and honest conversation about your wishes with your family and register your decision at http://transplant.bc.ca. You could save a life. World Meningitis Day is this Monday, April 24th. 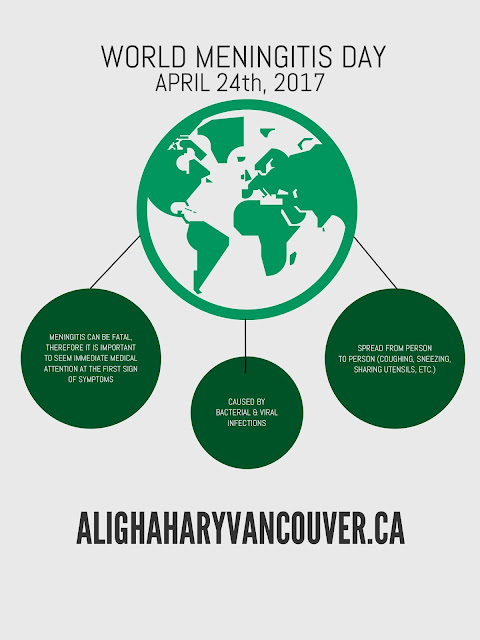 Learn about the signs and symptoms of meningitis on Dr. Ali Ghahary's website at http://AliGhaharyVancouver.ca. April is Parkinson's Awareness Month in Canada. For more information on Parkinson's disease and how you can get involved in the campaign, visit Dr. Ali Ghahary's website at http://www.alighaharyvancouver.ca/blog. Ali Ghahary, a family doctor from Vancouver, recently had the opportunity to meet surgeon, author and TV personality Dr. Oz. Read all about it at http://alighaharyvancouver.ca! Since 1985, rates of obesity in Canada have tripled. It’s a startling trend, and by 2019 as many as 25% of Canadians are expected to be diagnosed as being obese. Causes of obesity range from genetics, physical inactivity, medications, and unhealthy eating habits. Dr. Ali Ghahary, a physician in Vancouver practicing at Brentwood Medical Clinic in Burnaby, has been a long-time advocate of patients leading healthy lifestyles, which includes keeping fit and having diets that are low in carbohydrates. 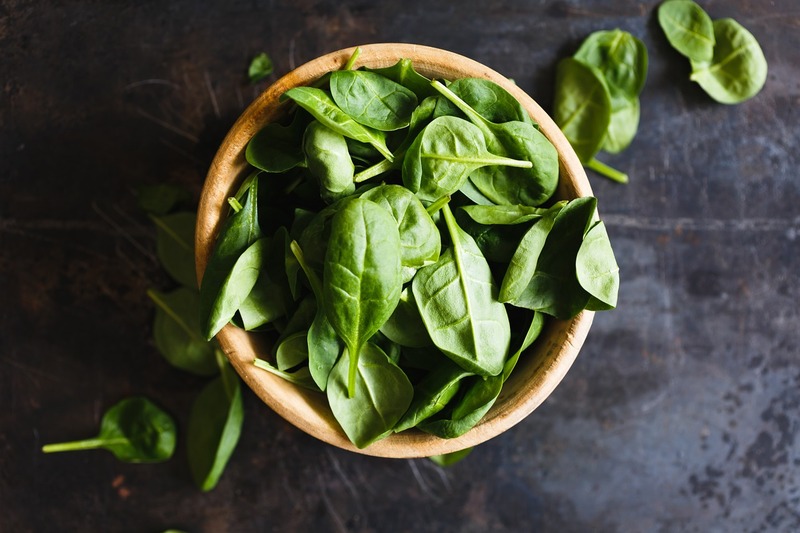 Dr. Ali Ghahary personally recommends the Paleo diet or South Beach diet, which are not just focused on weight loss, but instead focus on the patient’s overall health. 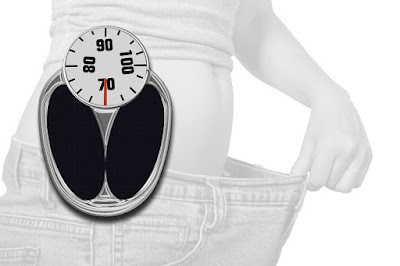 There has also been a discovery that shows obesity may be linked to sleep apnea, or vice versa – especially in teenagers, with more than 5% of Canadian teenagers suffering from sleep apnea; that number rises to as many as 60% in teenagers who are obese. Sleep apnea is a common condition that affects the airways by causing pauses in breathing, with less air getting to the lungs as a result. This then causes a disruption in sleep. As our quality of sleep is disturbed, one may find it more difficult to control their eating habits, and the want to exercise will also diminish due to feeling overtired. Risks include developing high blood pressure, diabetes, and stroke. This is especially worrisome in younger patients, as developing these problems at an early age can have a significant impact on one’s health. Teenagers that are diagnosed as being obese in addition to having a diagnosis of sleep apnea are also more likely to have trouble concentrating in school or at work, and are at a greater risk of developing mental health issues such as depression and anxiety. 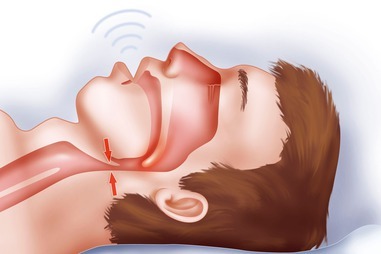 An obvious symptom of sleep apnea is loud snoring with pauses in breathing that can last as long as 20 seconds. Headaches and a constant feeling of fatigue are also two common symptoms in patients, young and old, suffering from sleep apnea. In order to properly diagnose if this is a condition that you or your teenager may have, your doctor may refer you to a sleep clinic (there are several in and around Vancouver.) These Vancouver sleep clinics are specifically designed to determine what sleep disorders, if any, you might have, and can perform specific diagnostic testing such as a sleep study. A sleep study will monitor your breathing, oxygen levels, as well as the number of times you wake up during the night. Dr. Ali Ghahary, a family physician, practices at Brentwood Medical Clinic, a collaborative family practice and walk-in clinic located at Brentwood Town Centre in Burnaby. There, Dr. Ghahary sees patients of all ages – from newborns to elderly, ranging from minor health ailments to more complicated and chronic conditions such as kidney disease and various types of cancer. One of the leading cancers for male patients across Canada is prostate cancer – the formation of a malignant tumour in the cells of the prostate. The prostate is a walnut-sized gland located just beneath the bladder and surrounding the urethra, which carries urine from the bladder. Prostate cancer typically grows slowly, and if caught early enough can usually be managed quite successfully or even removed completely. On average, an estimated 59 men are diagnosed with prostate cancer each day, with over 21,000 men in Canada being diagnosed this year alone. 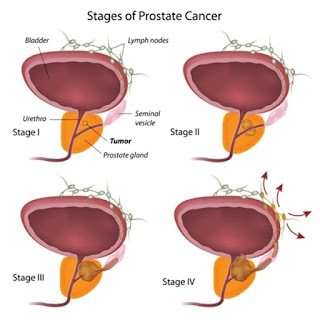 Signs and symptoms of prostate cancer to watch out for include changes in bladder habits (i.e. 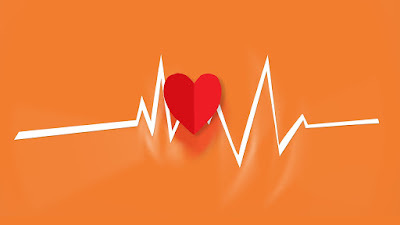 frequent urination, the urgency or inability or urinate, a weak or interrupted urine stream, and burning or pain during urination in addition to blood in the urine.) Late symptoms can also include bone pain, weight loss, anemia, fatigue, and complete loss of bladder control. In order to diagnose prostate cancer your physician may examine you in order to check for any hard bumps that may have the possibility of being cancerous. In addition, patients will also be referred for diagnostic testing. A common screening test to check for prostate cancer is a PSA test, otherwise known as a Prostate-Specific Antigen test. This test is performed by drawing blood and checking your PSA levels. Typically, most men who are healthy will have a PSA level under 4ng/ml. However, with an increased PSA level the risk of having prostate cancer also increases significantly. With a PSA level over 10, that risk grows by 50%. Another common test used to diagnose prostate cancer is a core needle biopsy. This is usually done depending on the patient’s symptoms and results of other tests, such as the PSA blood test. It is important to note that even with a PSA level below 4, that does not necessarily mean you are 100% cancer-free, as 15% of male patients are found to have prostate cancer after a biopsy has been performed. Treatment for prostate cancer may include surgery, chemotherapy and radiation – all of which are performed as either standalone treatment or in combination. There are many prostate cancer support services in and around Vancouver, including the Prostate Cancer Foundation of BC, located in Surrey. Their goal is to provide knowledge and help to individuals diagnosed with prostate cancer, in addition to raising funds in support of further research and treatment options. In order to raise funds and bring awareness to the fight against prostate cancer, they hold an annual fundraiser every summer – the Father’s Day Walk/Run for Prostate Cancer. This run takes place across various cities in British Columbia including Metro Vancouver, Chilliwack, Kamloops and Kelowna. Hearing has always been an essential part of communication – learning to talk is based on the ability to imitate sounds and mimic words used to speak. Without the ability to hear, communication can be difficult. 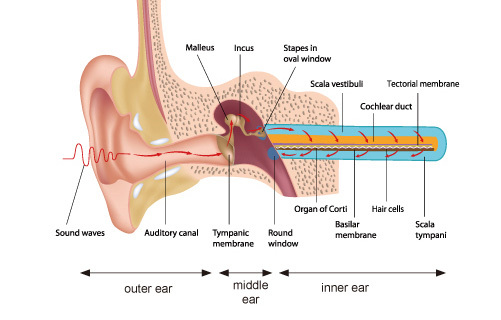 The study of the ear, also known as otology, is the branch of medicine that examines the anatomy of the ear, its physiology, as well as diseases and disorders associated with it. The ear is divided into 3 different sections, each playing an integral role in the hearing process: The external ear, middle ear, and inner ear. The external ear is the visible portion of the ear and consists of the pinna (or auricle) and the auditory canal. These parts of the ear are responsible for funnelling sound waves and secreting earwax. The tympanic membrane, also known as the eardrum, separates the external ear from the middle ear. A common disorder of the inner ear is impacted cerumen (earwax). This occurs when earwax has hardened and obstructs the auditory canal. Signs and symptoms of this condition include ear ache, blocked or muffled hearing, and a sensation of a plugged ear. Dr. Ali Ghahary, a Vancouver physician practicing at Brentwood Medical Clinic, treats this condition by flushing earwax with a syringe. If let untreated, it can lead to permanent hearing loss or tinnitus. The middle ear is a small cavity located in the temporal bone of your skull. It contains three bones that are commonly described by their shapes. These are the malleus, which is shaped like a hammer, the incus, which is shaped like an anvil, and the stirrup-shaped stapes. The middle ear is responsible for equalizing air pressure, sound vibration, and protection from damage (i.e. from loud noise.) Otitis media, inflammation of the ear, is a common disorder associated to the middle ear. It is caused by bacterial or viral infections. While it can affect individuals of all ages, it tends to occur in children more than adults. A child suffering from this condition may tug or pull on the affected ear, become unusually irritable, develop a fever and have difficulty sleeping. If infection is present, antibiotics will be prescribed. 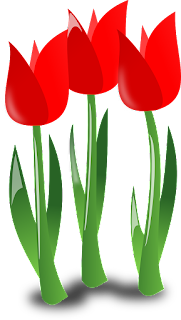 Decongestants may also be recommended to reduce swelling along with pain relievers. For more information on ear infections in children, click here. The inner ear is responsible for converting sound pressure impulses to the brain via the auditory nerve. The most common disorder associated with the middle ear is tinnitus, which is characterized by ringing in one or both ears. There are various causes of tinnitus – from hearing loss, allergies, certain medications and even tumours. The ringing caused by tinnitus can be so severe that it can affect the ability to sleep and work. While there is no cure for this condition, many patients say they have found relief with hearing aids. For persisting ear problems, Dr. Ali Ghahary will refer patients to an ENT (ear, nose, throat) specialist. There are also hearing clinics in and around Vancouver that are also well adept in conditions associated with the ear. Good nutrition has always been a key element in maintaining a healthy lifestyle, and is something Vancouver physician Dr. Ali Ghahary promotes. Nutrition is responsible the growth, repair and maintenance of the body. It is well known that the typical Canadian diet contains too much fat, too much cholesterol, too many calories, too much salt, not enough fibre, and insufficient complex carbohydrates (i.e. whole grains, beans and vegetables.) It is important to have a well-balanced diet with the proper proportion of nutrients; nutrients are the chemical substances found in foods that supply your body with the required elements for metabolism and energy. By doing so, you will greatly increase your quality of life. Carbohydrates are the main source of energy from foods. These include the sugars (also known as simple carbohydrates), starches (the complex carbohydrates), and fibre (also known as cellulose.) Complex carbohydrates are beneficial to having a healthy diet as they are lower in fat, higher in fibre, and are a great source for other vitamins and minerals. 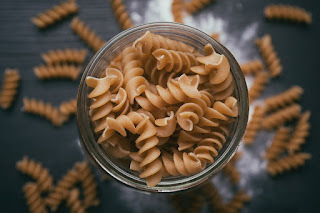 Complex carbohydrates include vegetables such as yams, carrots and peas, citrus fruits such as oranges and grapefruits, as well as whole grains and pasta. 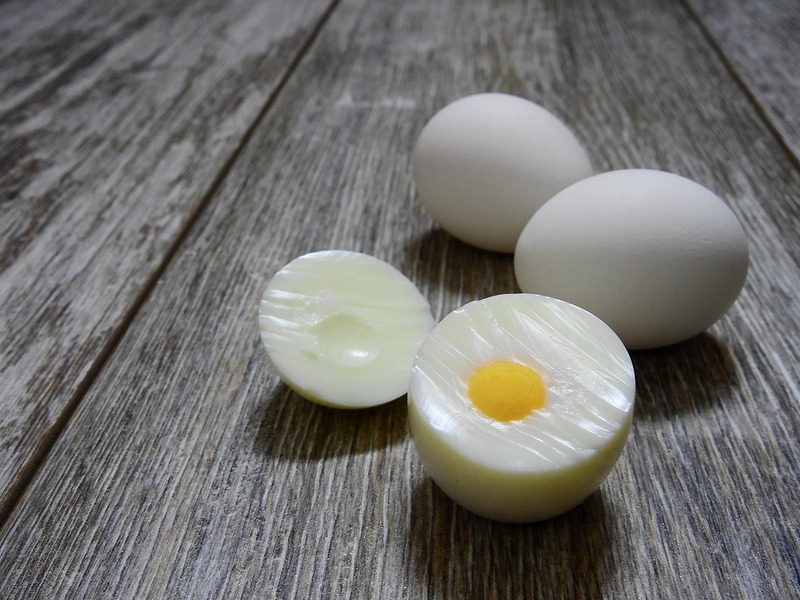 Proteins are what from the base of each living cell within our body and are fundamental for growing and repairing tissue, giving our bodies energy, as well as contributing to the structure for our muscles, bones and blood. 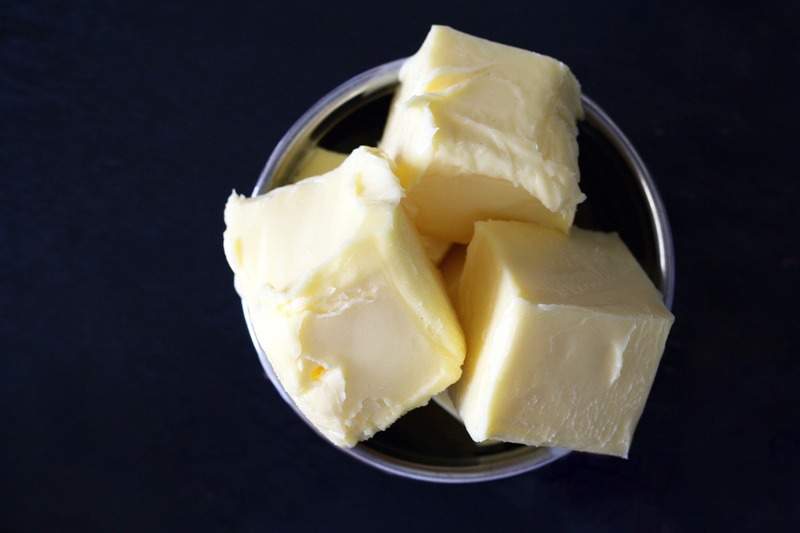 Also known as lipids, fats are a dominant source of energy. They have two classifications: Saturated or unsaturated. In moderation, fats can benefit the body as they help to provide a source of energy, assistance in transportation of other vitamins such as A, D, E and K, and add taste to foods. However, many Canadians are consuming more fats than they should be. The body needs water in order to survive. Unlike food, which the body can survive without for several weeks, it cannot survive without water for more than a few days. 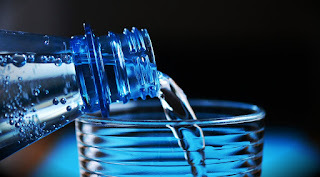 Water has many health benefits and it is recommended that at least 6 to 8 glasses are consumed each day. However, the requirement for water intake is also based on an individual’s age, body size, metabolic rate and other factors. Vitamins are organic substances that are essential for the body’s metabolism, growth and development. They are identified by an alphabetical letter and have two main classifications: Fat-soluble vitamins (such as A, D, E, and K) and water-soluble vitamins (such as B and C.) For more information on vitamins and their benefits, read Dr. Ali Ghahary’s articles titled ‘Vitamin D Important For Optimal Health’ and 'Vitamin D Deficiency'. Remember, the key to having a well-balanced diet is eating a variety of healthy foods. 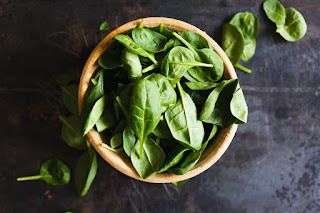 Make sure you are eating foods that are fresh as opposed to processed, as well as lean meat, poultry, and fish that is rich in omega-3 fatty acids. While sugary, sweet food can be pleasant to the taste buds, they are not nutritional and should be limited or cut from the diet all together. 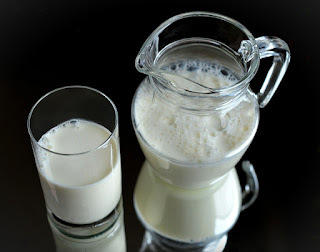 For more information, visit Dr. Ali Ghahary’s blog at http://alighahary.wordpress.com and click on the ‘Diet’ category. You can also find great nutrition-specific information on Dr. Ghahary’s Instagram account, which is updated regularly, as well as by following him on Twitter at @DrAliGhahary.